When you see a beer label depicting a plastered Santa Claus face down in the snow, you absolutely have to write about it. 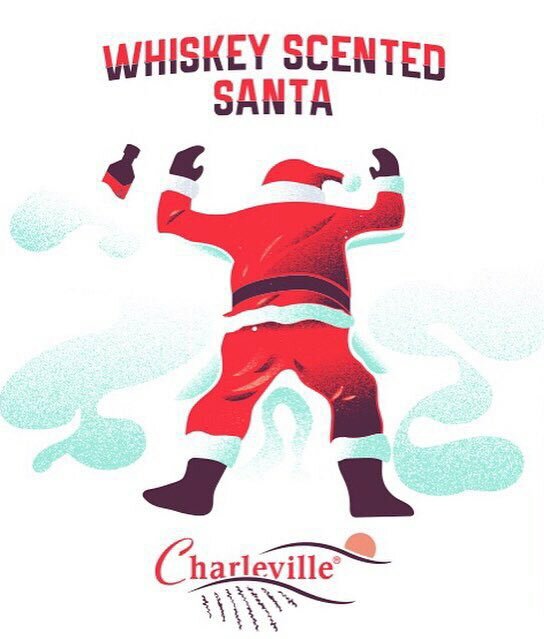 While we’re all hoping poor Santa didn’t bust his schnoz, we are assured that the fall was well worth it, as his sprawling image on each bottle of Whiskey Scented Santa marks the unofficial beginning of the Christmas season at Charleville Brewing Company. From that inspiration, Whiskey Scented Santa was born. The Imperial Porter is a heavyweight coming in at 10.5 % ABV so take your time. The beer is aged with whiskey infused oak stave or chips inside stainless steel tanks which allows for more beer to be produced. Whiskey Scented Santa, debuts for the 2018 Christmas season on Friday, November 23 at 2:00 p.m., but this year, for one day only, the 2018 Whiskey Scented Santa will be available in six packs! !